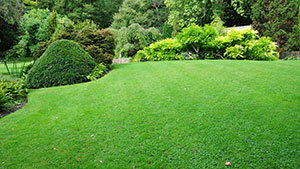 The fertilisers that we apply in lawn care are widely used by professional green-keepers and groundsmen on a national basis. They are made in the UK by a manufacturer that holds a Royal Warrant - by Appointment to Her Majesty the Queen. The range uses an odourless organic base, high in humates (natural nutrients) and organic carbon consistently providing remarkable “natural” phased release properties and increased efficiency of plant food nutrients. 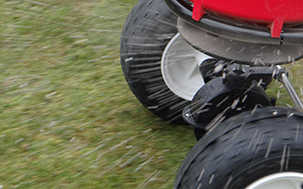 The fertilisers are granular and applied using specialised spreading equipment. We usually treat with herbicide on the same day as granular fertiliser, once the herbicide has dried (about 1-2 hours) your lawn is safe to use again. Watering-in is not necessary although some moisture is required for the nutrients to be released.